Being from the South, Azaleas are a garden staple and they really aren’t that difficult to grow. 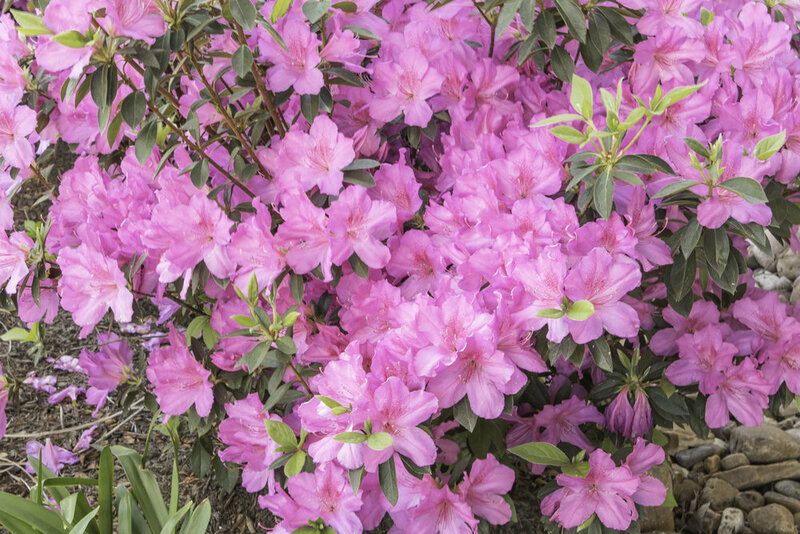 Azaleas are filled with beautiful pink flowers in early Spring, every year without fail, (they do come in other colors, but most often you will see them in varying shades of pink and I like pink). Beautiful azalea shrubs signal the beginning of Spring in a glorious way. 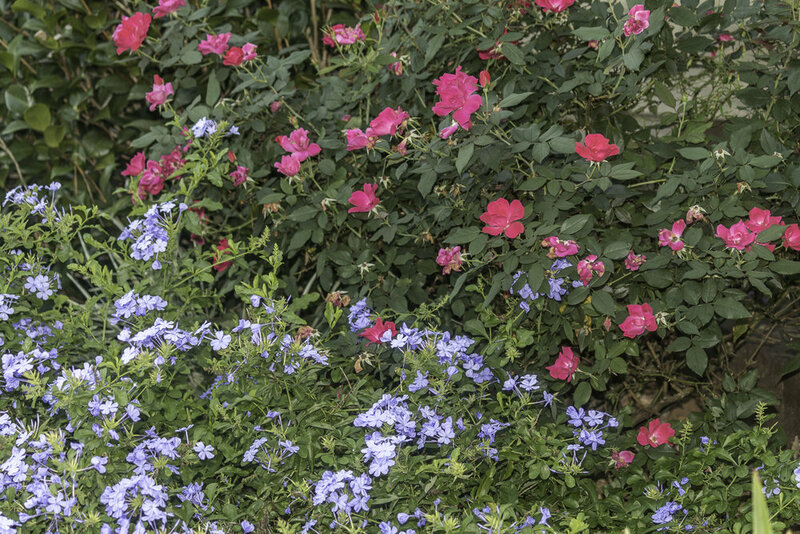 My azaleas bloom prolifically and don’t really require much attention from me, so I would like to share my tips for growing beautiful azaleas. There are many varieties of azaleas and I am by no means an expert on azaleas. This post is all based on my own personal experience with Encore Medium and Encore Dwarf Azaleas. 1. Azaleas like well-drained acidic soil. You can easily have your soil tested. Your local County Extension Office should be able to provide information on the process to have your soil tested. You can also easily amend your soil if necessary and the County Extension Office can help you with that information, as well. 2. Azaleas do need to be watered during the dry months; mine get watered every other day during the summer, via our automatic sprinkler system. 3. 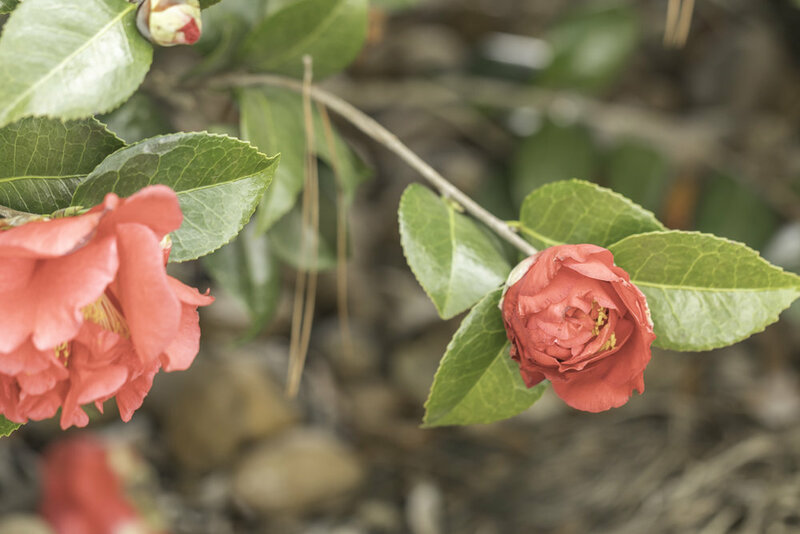 I fertilize my azaleas in early to mid - February before they begin to bloom and then I do fertilize again in early summer and 1 more time in the summer, if they begin to look unhealthy. I have some that receive direct sun in the hot summer months, (not ideal, azaleas like partial sun), so I usually feed mine once mid- summer. 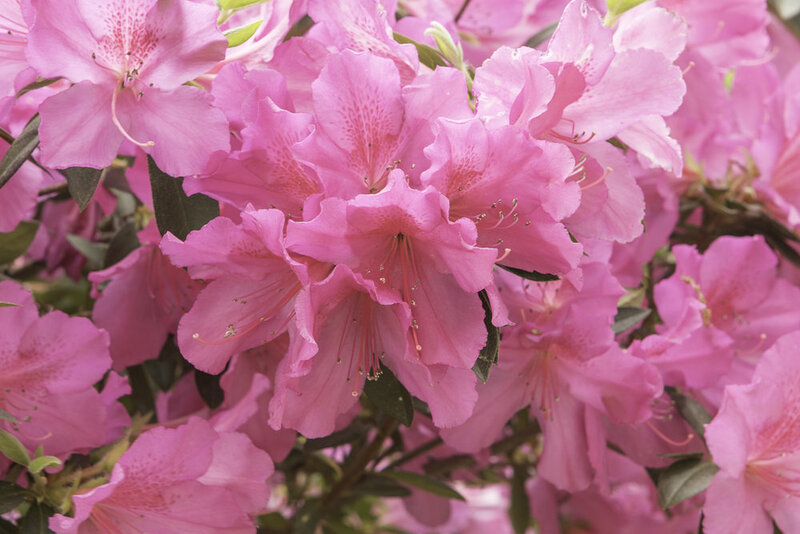 I fertilize my azaleas with Miracle Gro Water Soluble Azalea, Camellia, Rhododendron Food . I have read many gardening websites that say you don’t need to fertilize azaleas unless there is a problem. I do fertilize and mine are lavish bloomers. 4. I prune my azaleas as soon as they finish blooming. I usually cut back any long, scraggly branches and try to give it a nice overall shape. Some of the branches in the pictures below will be pruned back to help maintain a nice shape. This is honestly all I do to my azaleas and you can see from the pictures my azaleas have abundant blooms every year. If you live in zones 6 – 10 you can grow your own azaleas. I have multiple flower beds and some of them are quite large. I love flowers and blooming plants, but my yard is so large that any maintenance at all takes a long time and a lot of work, so my goal was to have something blooming almost year round with as little work as possible. I have avoided planting anything that doesn’t come back or reseed. I have some tried and true perennials that don’t require a ton of work that I have come to love and count on to always produce beautiful flowers in my yard. The work that these require usually constitutes pruning after winter and sometimes pruning in the growing season to keep them from getting out of hand and of course, general fertilization. 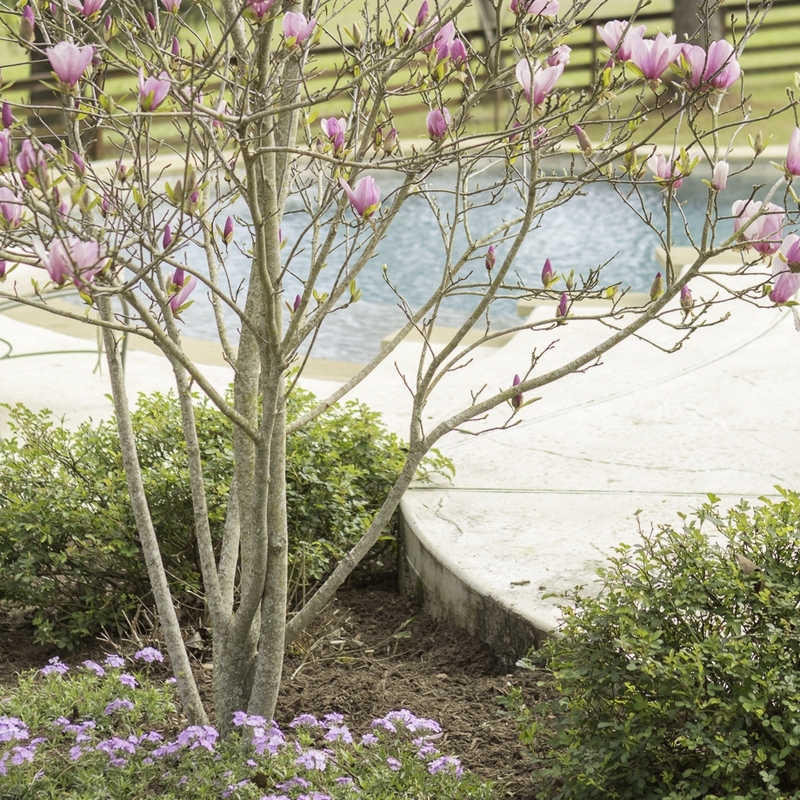 I have these plants mixed in with shrubs such as: azaleas, camellias, and knockout roses and some teacup magnolia trees. 1. 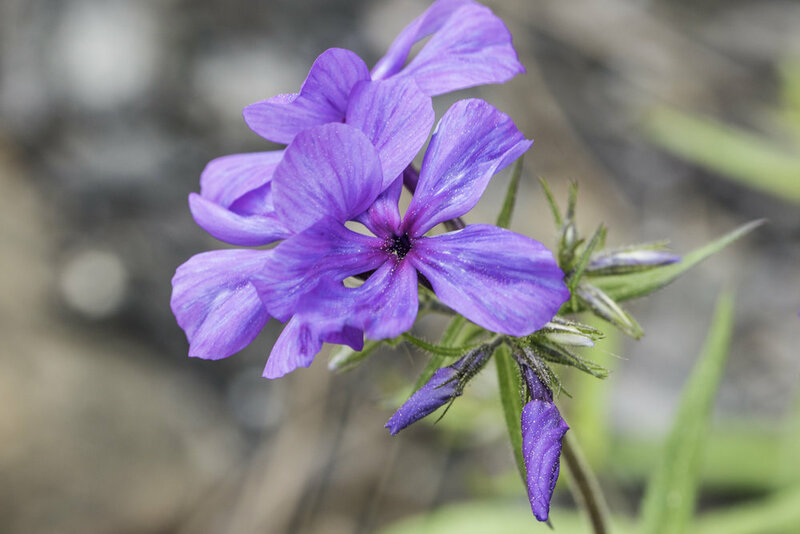 Phlox – might be my very favorite and require the least amount of work. I have several varieties and they are all beautiful and low maintenance. 2. Blue plumbago – the last several winters we have had a few hard freezes and these seem to freeze. They come back! Cut away dead branches and wait; they are still alive under the ground. You have to prune this during the growing season to keep it under control and give it some shape. 3. Lantana – this is sort of like the plumbago; it looks like it freezes, but it comes back. 4. Victoria Blue Salvia – cut dead stalks back and leave plants in the ground. They will come back and the will also reseed and multiply. 5. Drift Roses- require pruning of dead branches and spent blooms also some shaping during growing season. 7. Vincas – will reseed and come back. 8. Mondo grass – pull away any dead grass blades. 9. 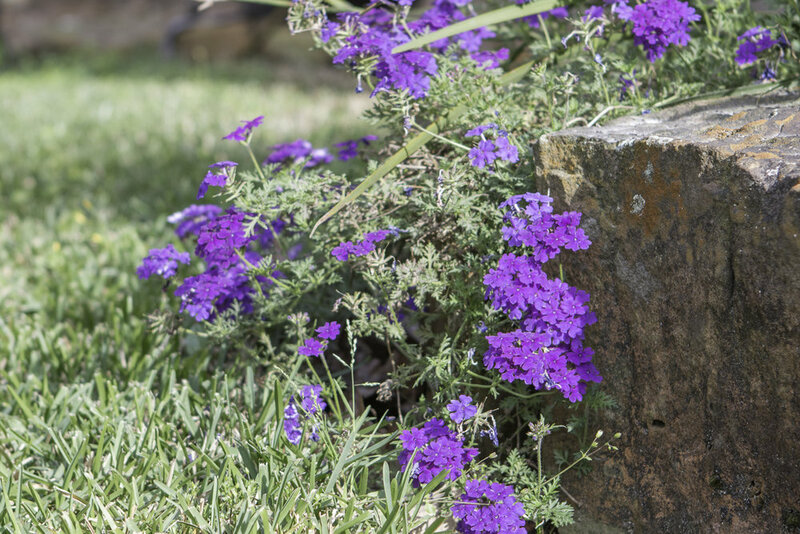 Trailing Verbena- beautiful purple flowers, but it can freeze. In the last 3 winters I have lost some of it to freeze, but there always seems to be plenty that survives. 10. 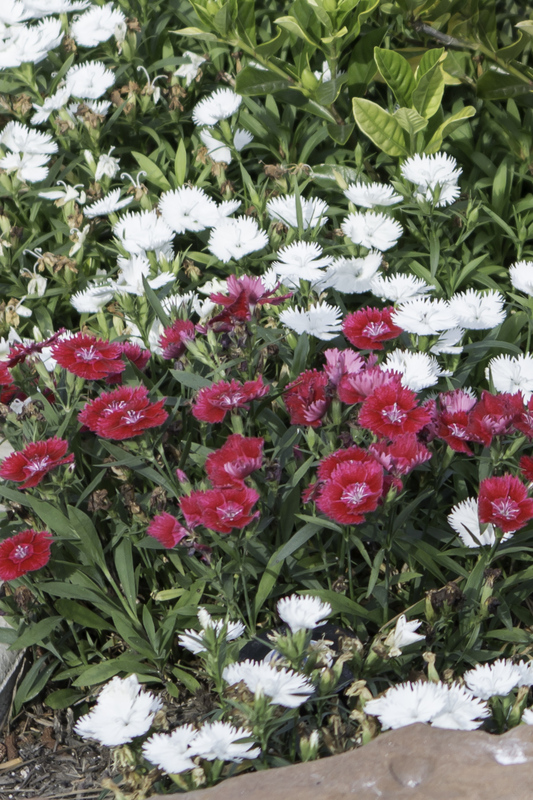 Dianthus – I have a love / hate relationship with dianthus. They are beautiful, don’t seem to freeze and are prolific bloomers for most of the year, but I have problems with slugs and snails and they love to feast on dianthus. These will reseed and require no maintenance (if you don't have slugs and snails). These pictures are all from my flower beds and most are from this Spring, but the purple trailing verbena is from last summer. It doesn't bloom as early as some of the other plants that I have listed.